Still playing catch up, but getting closer. Now we have arrived at 12/11/10. I will need to remember the date because that is the anniversary of the day I finally married the love of my life, Miss Christine Johnson. The ceremony was beautiful and my bride floated down the isle. 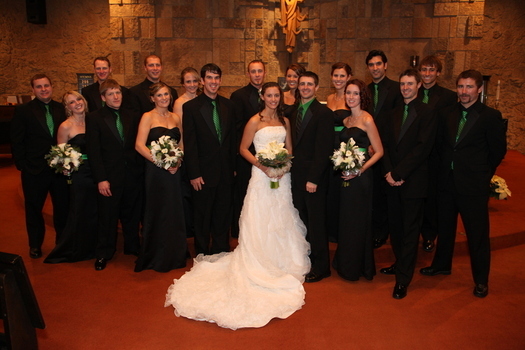 We were surrounded by all of the greatest people in our lives, and we couldn't have asked for a better day. ^The wedding party was a cast of characters that have all been huge influences and support in our lives. 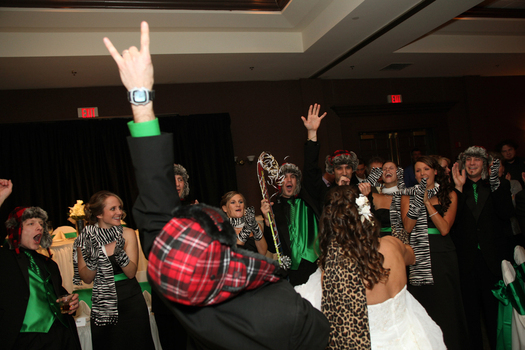 We were so pumped that everyone made it despite long distances and busy lives. Thank you. ^Let this photo be an indication of how the rest of the night went. Enough said. ^Telluride, Colorado. Christine picked this place for the honeymoon. It is one of her favorite places on earth and I would tend to agree. Telluride is one of a kind. The charming little town is nestled in a little box canyon surrounded by monster peaks. 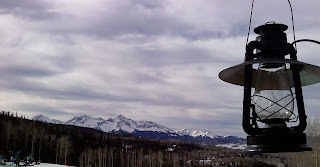 The views and vibes in Telluride are among the best I've experienced. I have been there several times now in a variety of seasons and I still want to keep going back. The people were so welcoming to Christine and I. We met several folks that we saw throughout the week and I am grateful for their kindness and generosity. A special thanks to our new friends Tim and Alex who went out of their way to be nice to us. Also, cheers to the crew over at Pescado, a raw bar. Our sushi dinner was a top-notch great food and great company experience. Thanks, Telluride. ^DJ Tim is pictured here looking for my request for his radio show. 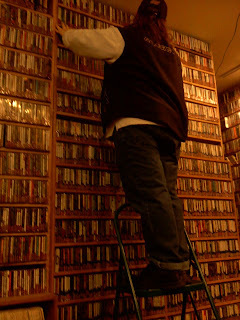 We met Tim in the Last Dollar Saloon, and he invited us up to check out the local radio station. Tim played a little Ten Years After, "Over The Hill" for me and Christine. We had a blast checking out all the music and gear. 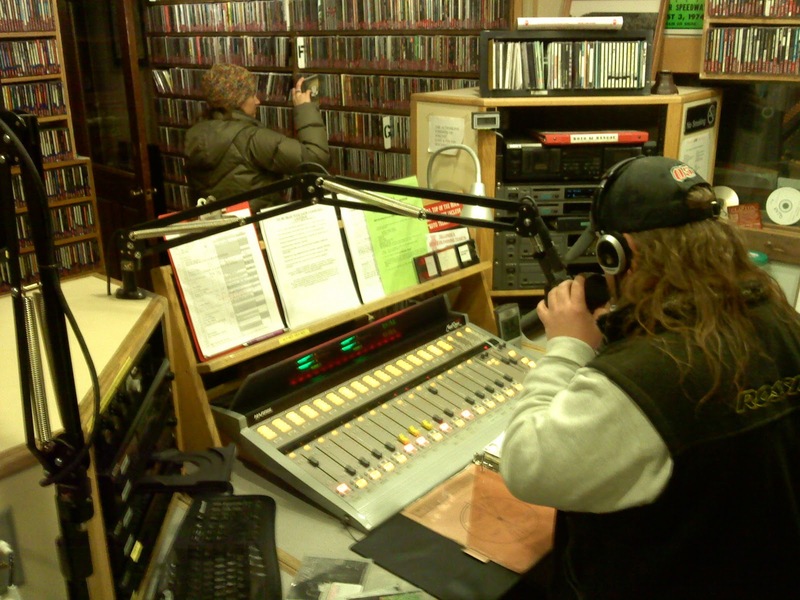 ^Tim is laying it down while Christine is trying to find some tunes to play amidst the never ending collection of music in the KOTO 89.3 studio. It was an evening that Christine and I won't soon forget. We are still blown away at the gesture on Tim's behalf to show some honeymooners a unique experience. Very cool. Thanks again, Tim and KOTO radio. 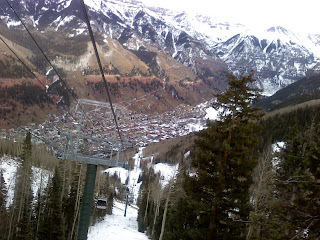 ^Telluride is not only a fantastic town, but a killer ski resort. 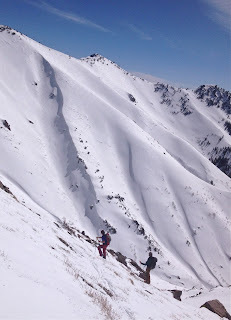 The terrain here is big by any definition of the word. The off-piste lines are long and consequential. Pyramid peak is the real deal. Christine and I arrived to a thin early season snow pack, but a foot of new snow during our trip blessed us with some great powder skiing in the glades in the shadow of Prospect Bowl. 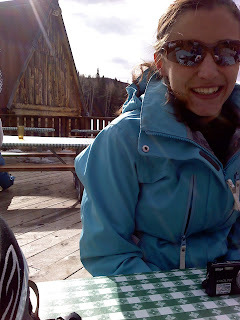 ^Christine is all smiles and relaxing on the deck slopeside. Her belly is full of a pulled pork sandwich that knocked our ski boots off. Honestly, the best I've ever had. We had quite a few moments on our honeymoon that we will remember forever, and most of them involve the all around beauty of the people and the place. Cheers and thanks to everyone who was a part of these milestone moments for Christine and I.